Well, as most of you know, I just got back from Canada on Tuesday. Believe me, getting to Canada was a trip. I had every possible obstacle trying to stop me from going there, and I realized why. Once I got to Canmore, I was able to deliver a message from Saint Germain about the current situation which is quite important and which we will go over during this meeting. Saint Germain wants us to know that we have begun the final slide of this cosmic cycle that we’ve been talking about for the last few years. As you know, every cycle has the positive building, construction, and then the latter part of the cycle is the destruction. The destruction of the cycle makes room for the new cycle, and that’s where we are today. If you will remember, we are at the end of a cosmic cycle that is in the process of being destroyed. That doesn’t mean that you’re going to be destroyed along with the cycle. In fact, one of the reasons why you’re here is to be able to help and guide humankind during this period of destruction because all will be affected by this. How is this taking place at this stage? Over the past few months have you been feeling a sense of giving up? A feeling of death? The sense of, “I just can’t take it anymore! I just want to go! Send me to heaven where it’s nice!” A feeling of desperation sweeps through you so that you just want to give up and go home. What is that feeling? It is the same energy of destruction that ends the cycle. It is the same energy that is not only destroying the banks, war machines, and governments that are in the way of the freedom of individuals; it is also affecting you. Unfortunately, we are not spared the feeling that’s going on in the destructive part of the cycle. All the dark force evil that’s in the world is going to be wiped out. This energy hitting us is very aggressive because it is the same energy that is closing down the present cycle. It hits and bounces off and crosses you. You have to be aware that this feeling of death, or giving up, is going on with everything as part of this cycle. What should you do? First, align yourself. Do you all know what aligning is? We are now on the threshold of the New Age and we are returning to a basic fact about our existence that has long been hidden from mankind: we are the creation of the Sun. Without the Sun, you and all life on Earth cannot exist. Turn the Sun off and we all cease to exist. So, this great being is now evoking the cyclical destructive energy to clean out the rest of present cycle and make room for the New Age. To cope with these destructive energies and the turmoil they cause, we must align ourselves with the Sun. By doing this, we reinforce the constructive energies of divine will and establish equilibrium in the mind. Just remember that divine will is both constructive and destructive, so what’s destroying will also reconstruct. Just like a plant that naturally turns toward the Sun, you visualize your life-stream coming from the Sun. 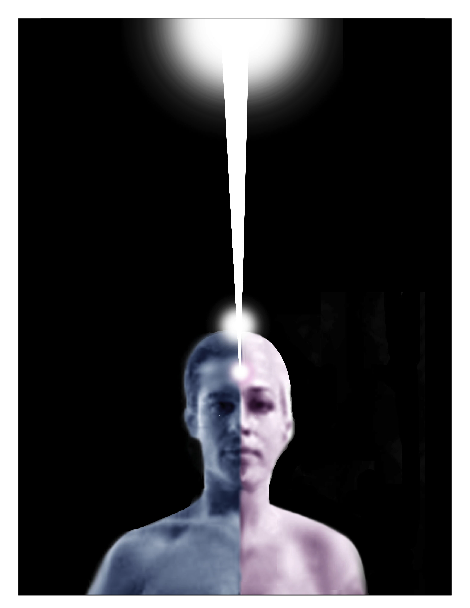 Merge yourself in line with its power and sustenance. If you need to resolve a problem--It could be anything: something not going well in your business, conflict in your household, relatives that are getting on your nerves, maybe the kids acting up, temper flare-ups in traffic, or anything that destroys harmony of your surroundings--just bring that situation and yourself into alignment with the Sun. That’s the first step. If you can just do that, it’ll make a big difference in how the situation resolves itself. But don’t stop there. Try to go deeper. Go into that ray of light with which you are aligning yourself, and begin the process of rectification through meditation as per the in-breath meditation on this website. It’s very easy, except you’ve got reign yourself in. Stop what you’re doing for a few seconds in order to begin the whole alignment ritual. If you’re in traffic, for example, and things are a mess outside, and you’re trying to get that car through what seems to be an insurmountable mess, stop for a second and align yourself. If you are coming up against obstacles that prevent your application from going through, that is, like applying to the government for something, align yourself and you’ll see how things go smoothly. You are in essence aligning yourself with the creator of Earth and the solar system. So how could you go wrong? The Sun knows everything. Are any of you doubtful that he is all-knowing? So, the more you practice alignment during this disturbing period, the more you’ll see that your life straightens out. Your life will move into a more harmonious state as you drop all that is not necessary from your life despite the fact that aggressive and destructive energies may be whirling around you. Remember that these forces are also coming from the same source, the Sun, destroying and getting rid of the all the stuff that cannot go into the New Age. Think about the things that the Sun is getting rid of. He is getting rid of all the ability to make war, warmongering, for one thing; as well the whole system of finance, controlling your every move, credit, finance, banks; as well as blocked relationship problems that go nowhere. Think about how they control your life every day. When you walk up to that ATM machine, they have said, “We can give you what you want. You’ve got to do what we want.” So all control is going to be eventually wiped out so that we will have a clean slate to begin the new cycle. What’s wrong with that? Nothing is wrong with that. In addition, you’ll see banks fail, you’ll see the stock market plunge, you’ll see efforts to start a war. It’ll be a big war that will blow itself up. This is what’s ahead of us now and into the near future. This process is already taking place. Bits and pieces are falling apart. If you read the news closely, you will see how the dark forces are pushing to create a big war that will save the world economy which is, in essence, the financial system. So, as things begin to rock ‘n roll, you will be in the middle of it. You elected to be here. Too late to try to jump ship. It’s going to be shaky. You may feel like you are going crazy trying to cope. You’ll have to step on the brakes and stop for a second, and align yourself. Easy enough, isn’t it? You must be able to do this multiple times during the day to keep your sanity for the next couple of years. You have to stop what you’re doing-- maybe every half hour or every hour, and align. Align yourself immediately as soon as that gnawing feeling and anxiety begins to overtake you. Do it constantly throughout the day. By doing so, you also acknowledge the ever-presence of the Godhead. As you practice constant alignment, you begin to prepare yourself for the coming New Age. Many of you think it is easy to do, but you’ll see that many distractions will arise when you try to align: “Mama, I have to go here or there.” All these distractions will be ganging up on you to prevent you from aligning. But once you get into the habit of aligning, you’ll see how your life begins to straighten out in what is probably the most difficult context that human beings must go through in the next couple of years. All the cyclical destructive energies are bearing down on you now. But like the phoenix rising out of the ashes, you can just sail right through the chaos, just like Moses did to cross the Red Sea, away from Egypt. You, yourself, have to make the effort. Nobody is going to save you from this destructive energy. You have to make the first step and make the effort. When you make this effort to align, this effort brings you more and more into a meditative state of mind. And that’s where you should be day and night. The turmoil on the physical plane is there to prevent you from getting into that state. If anything, the dark forces that are roaming around want to prevent you from realizing this state of mind. This is the real battle of Armageddon taking place in your own mind, designed to prepare you for the big battle in the current cosmic cycle. This final battle is a mental battle. Your alignment, unfortunately, may get a little harder every time you do it. It doesn’t get easier, because you must clean out the very life that you have built on this Earth. You’ve got children, grandchildren, etc., all crammed in your mind and they get activated even more during this period. “What do I do? I don’t have enough money,” etc., keeps churning away in your mind to keep you in a state of confusion. Has anybody experienced this? That’s just where the dark forces want you to be: in this state of confusion. The more you can straighten it out with alignment, the more you will be in line with why you came here. This is leading to the final stage of getting rid of the final obstacles in your ability to be a lightworker. Through that meditative state, which you can achieve through alignment, it becomes clearer and clearer what you should do here, and where you belong in this whole scheme. Is that too tough for you? “What? I don’t know where I am going…” Align yourself and find out! So what the Spiritual Hierarchy is asking you all to do now is to think deeply during this final stage of cosmic cycle. What can you offer the Spiritual Hierarchy? “What steps must I materialize to bring this about?” Think about what is holding you back from the ultimate commitment to put yourself back onto your mission. Do all of you feel that you have some kind of a mission? How many of you feel you are doing it? (laughter) I should see all the hands go up but they’re not. I would suspect that most of you still have doubts about what you should do. “What am I supposed to do? What is he talking about? I don’t know what it is? I’m still here doing the dishes, cleaning the house, and I’m still doing the same old stuff. I thought that I’d be on a mission, leading people.” But you will! As soon as you get over this hump. You have to go into that meditative state. After you’ve aligned yourself and restored harmony in your life, get in there and find out what that last step is. I call it the last step of selfishness that’s holding you back.